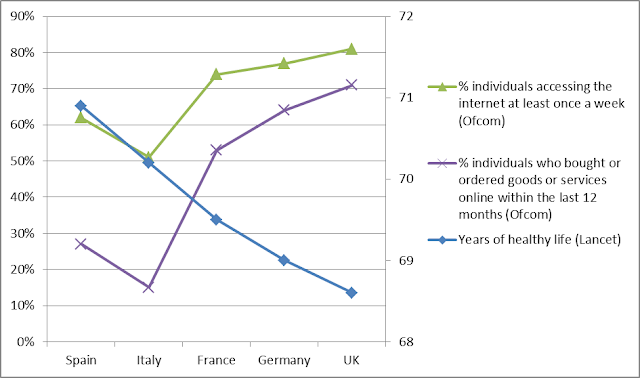 Net Trajectory: Superfast broadband its own killer application? 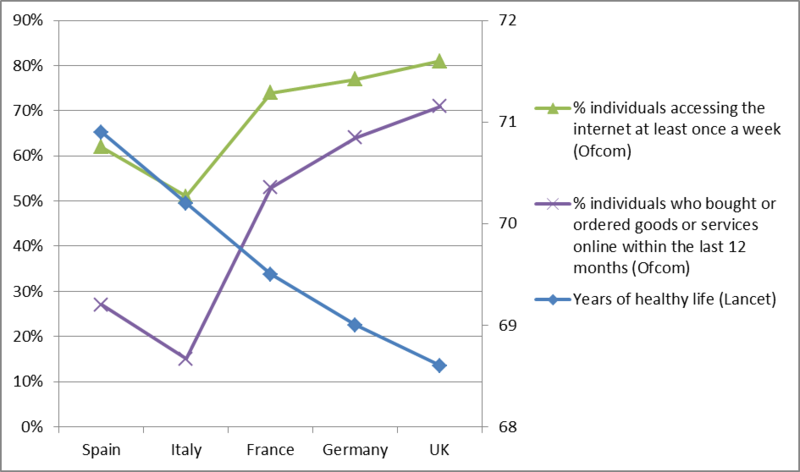 Superfast broadband its own killer application? This morning, Ofcom published the European Broadband Scorecard, showing how much better the UK was doing than its major European neighbours, in its race to equip the people with superfast broadband. This afternoon, the BBC published an article summarizing today’s review of UK health performance in The Lancet. I brought together some statistics from the two sources into a little chart. Of course I chose those particular statistics, from all the ones in the reports, for maximum dramatic effect; but I don’t think they’re an unfair summary of the situation. I think I’ll stop blogging and take a healthy walk.